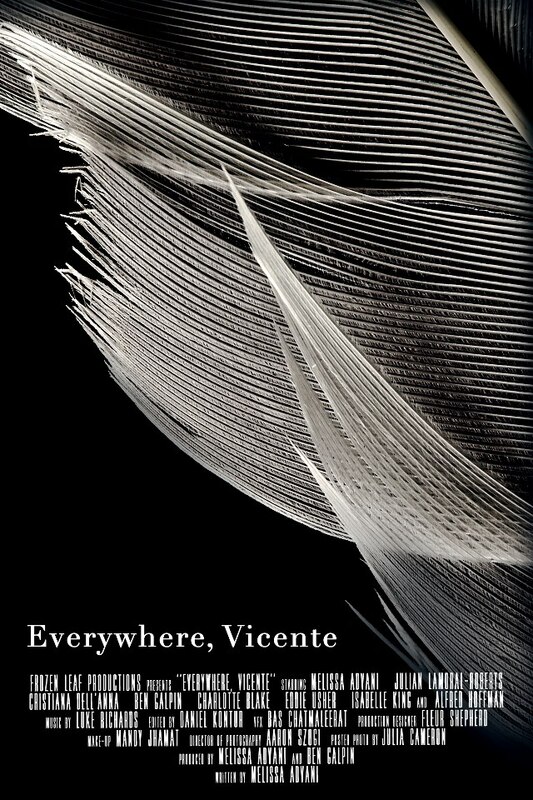 Everywhere Vicente, is complete and currently being entered into festivals. This short film follows the story of a woman searching for a sign that her dead lover is still by her side. I play Sarah, a character whose qualities remind this woman of her lover. Find out more about the film on the website for Frozen Leaf Productions.